No description can re-create the impact of seeing Glencoe for the first time. It has long been one of the most famous places in Scotland, known equally for its awe-inspiring views and sorrowful past. 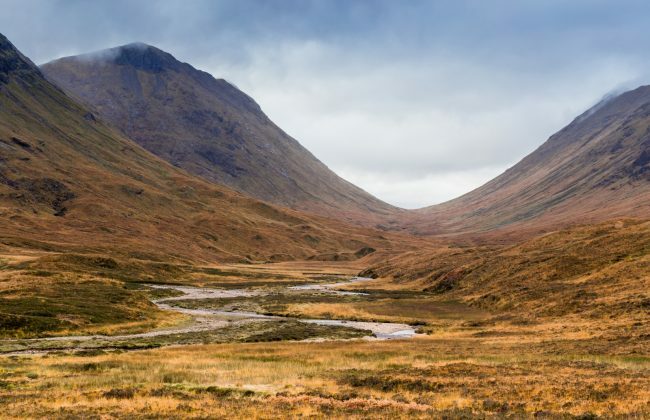 Glencoe is a place of history, wildlife, adventure and myth. The mountains were formed through violent volcanic eruptions, and then sculpted by massive glaciers. Fingal, the legendary Celtic hero, is said to have made his home among these towering mountains, while his poet son, Ossian, found inspiration in the landscape. On 13 February 1692, 38 men, women and children of the MacDonald clan were murdered by a regiment of soldiers (acting on behalf of the government) whom they had welcomed into their homes. The tragedy of the Glencoe Massacre still has the power to evoke powerful emotions.